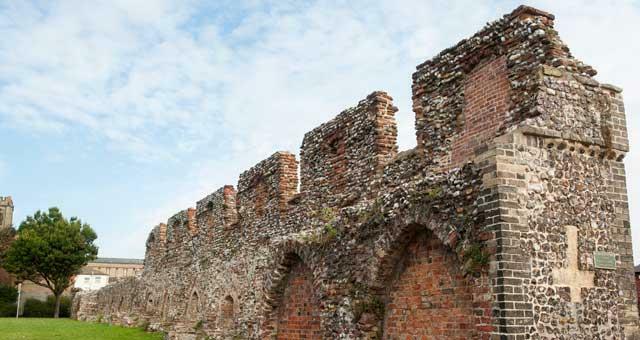 Tourist Information Centre Walk 25 at Great Yarmouths Medieval Town Wall01493 846346work Walking RouteGreat Yarmouth Town Wall walk is less than 1 mile (1.6 kilometres) starting at Great Yarmouth's Vauxhall Railway Station. A circular walk taking in parts of the town wall which is thought to be the 2nd most complete medieval wall in the country, along with other historic buildings along the way. You will find numerous places for refreshments along the way and public facilities at the Conge and Market Gates. 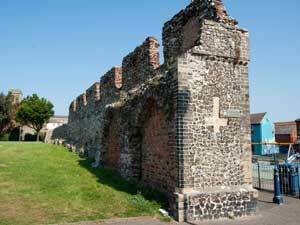 Great Yarmouth Town Wall walk is less than 1 mile (1.6 kilometres) starting at Great Yarmouth's Vauxhall Railway Station.